Tārerekautuku Yarrs Lagoon is one of the largest freshwater wetland habitats remaining in the low plains of the Selwyn District. It has been largely hidden from public view for about 80 years and it is located near the Lincoln township in the Ararira/LII River sub-catchment of Te Waihora/Lake Ellesmere. The Council is working with other groups, government agencies and the community to create a Reserve Management Plan to manage and protect the reserve. Yarrs Lagoon has important hydrological and ecological functions within the catchment, with numerous waterways and springs present. The reserve supports native swamp, forest and scrub vegetation that are now rare on the plains. The 76.89ha reserve is administered by the Selwyn District Council and is subject to the Reserves Act as a Local Purpose Reserve. The wetland was originally reserved in 1905 as a sanctuary for native and imported game species, but the wildlife sanctuary status was later revoked in 1957. Over time, the wetland area has been reduced. Now the channelised Ararira/L II River, and a network of inflowing drains bisect the reserve. Forming a ‘Tārerekautuku/Yarrs Lagoon Landcare Group’. Tārerekautuku/Yarrs Lagoon is a key mahinga kai (food gathering) site of Ngāi Tahu, and in particular the local hapu of Ngāi Te Ruahikihiki based at Taumutu. Tārerekautuku, sometimes referred to as ‘Springston South’, was one of two key wetland sites (or lagoons) within the Ararira or LII catchment, with the other being Makonui or Clay Bar Lagoon which was located further towards Lincoln, and also known as ‘Springston North’. Both of these sites were significant for the mahinga kai species (places where food and natural resources can be found) they provided and linked to a wider network of food gathering and settlement sites stretching from Taumutu and into Ōtautahi/Christchurch. Mawehe and other birds: parera (grey duck), putaki (paradise duck), pakura (swamp hen/pukeko),whio (blue duck), kaaha (shag) and aruhe (bracken fernroot). The wetland remains a habitat for a range of indigenous species despite canopy vegetation cover dominated by exotic grey and crack willow. The Lagoon has populations of locally rare manuka and baumea, and nationally threatened swamp nettle. Yarrs Lagoon is also special considering its direct links to river and coastal lagoon ecosystems and it remains one of the largest freshwater wetland habitats in the Te Waihora catchment. It has high significance as a relatively substantial area on the low plains that retains wetland hydrology and ecological function, as well as for its role in the hydrological functioning of the catchment. 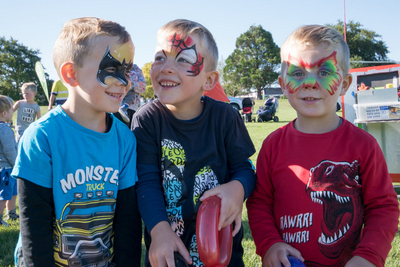 The fact it has survived in a highly modified low plains environment and contains a variety of rare indigenous species makes it significant within the district, as well as across the Canterbury Region. 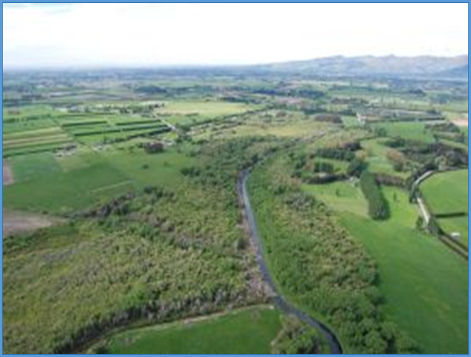 An ecological site assessment has been done with support from the Living Water partnership (DoC & Fonterra). This has brought together all existing information about the reserve, including field survey work to identify the site’s natural and physical attributes and develop an ecological vision for the reserve. See Ecological Scoping Report under useful links above. Review of submissions in preparation for the development of the Reserve Management Plan, identifying any issues and opportunities and undertaking further investigation where this is required. The Reserve Management Plan will be the primary source and reference for the future management of Tārerekautuku/Yarrs Lagoon. Facilitators will work closely with the ‘Yarrs Landcare Group throughout the process of developing the management plan. Proposed time frame – Stage 1 began in April 2017, and the plan is expected to be completed in October 2019.